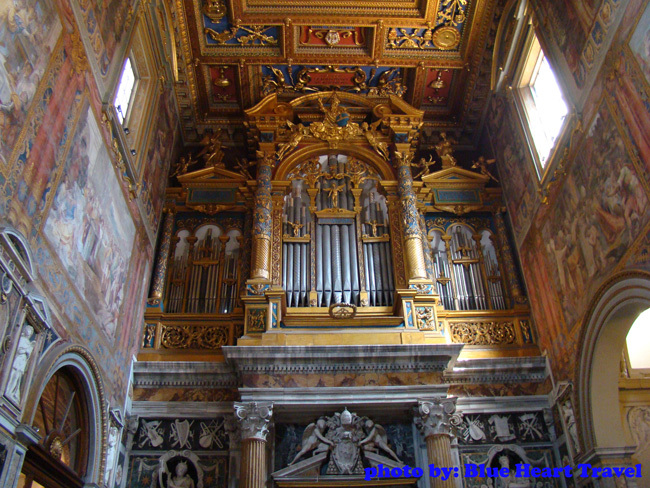 Referred to as “the mother of all churches”, The Papal Archbasilica of St. John in Lateran stands tall for over 1600 years. The origins of this sacred place begin with a legend. 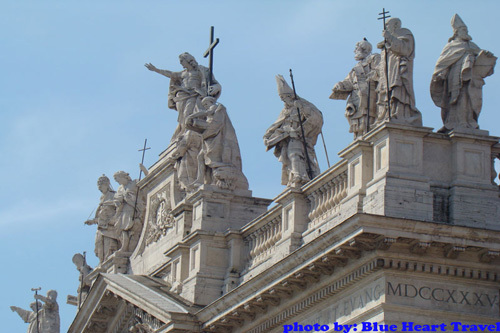 A legend that includes emperor Constantine and Pope Sylvester I. 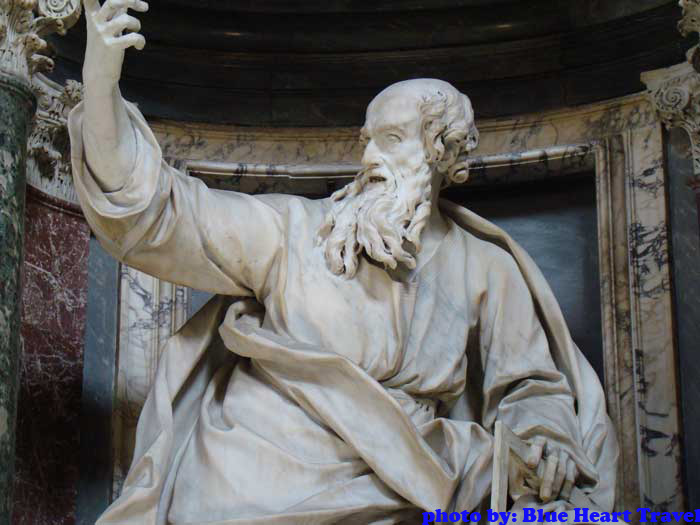 The legend says that Constantine had a dream in which Peter and Paul appeared and promised him he would be cured of leprosy if he was baptized. Constantine then reassured Sylvester I, who was hiding in the forests because of the persecution of Catholics, baptizing him. 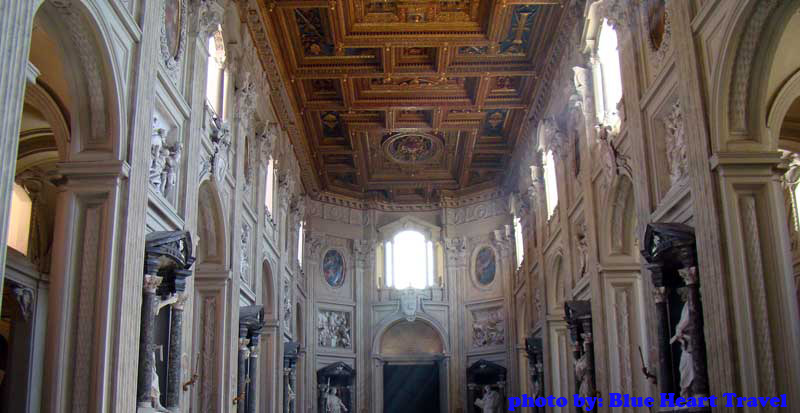 When baptized, Constantine was miraculously cured of leprosy, and, as a sign of gratitude, he began the construction of what today is known as St. John Lateran Basilica. Throughout its existence the basilica was severely damaged; the damage was caused either by Vandals, burglars, fire, earthquakes or human negligence. First of them appeared the Vandals in the 5th century, followed by an earthquake. The next big incident occurred at the beginning of 14th century was a fire that caused severe damage. What vandalism, fire, burglars, and an earthquake couldn’t do was done by the negligence of men in charge. 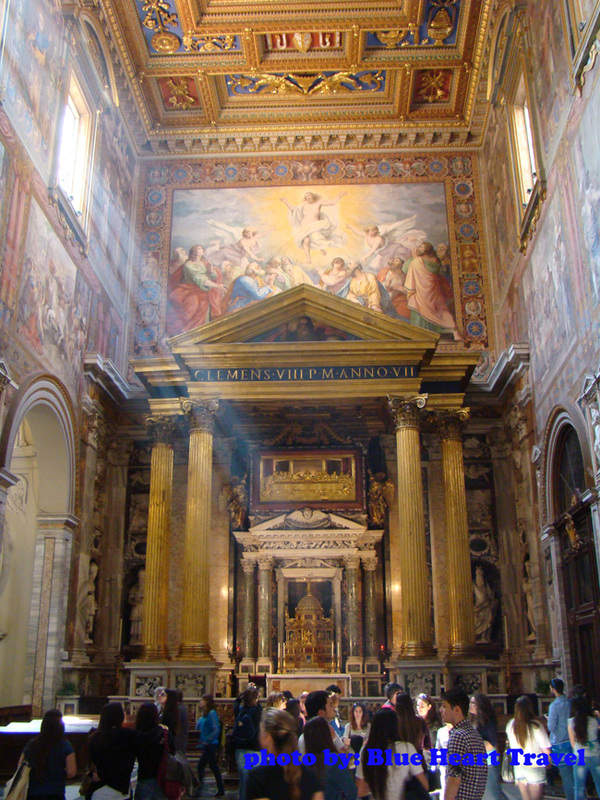 The appearance that the Papal Archbasilica holds today is a result of a final reconstruction carried out during the papacy of Pope Clement XII. 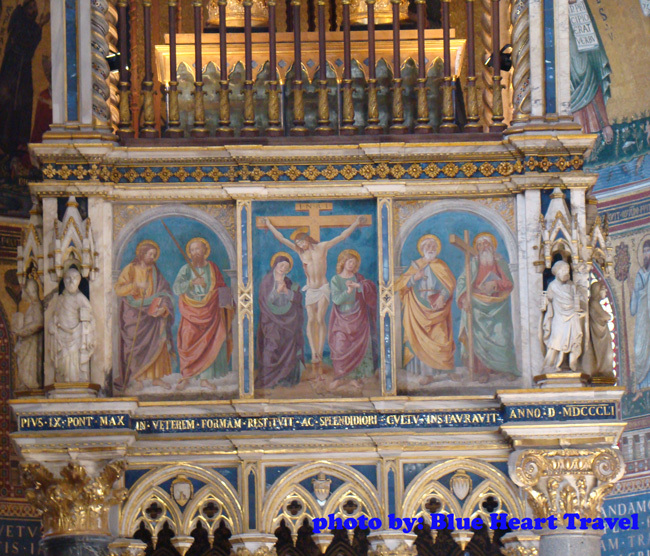 He opened competition for a design for the new façade of the basilica. The architect leading the restoration was Florentine Alessandro Galilei, an architect whose work was based on 16th-century tradition from Michelangelo to Carlo Maderno. 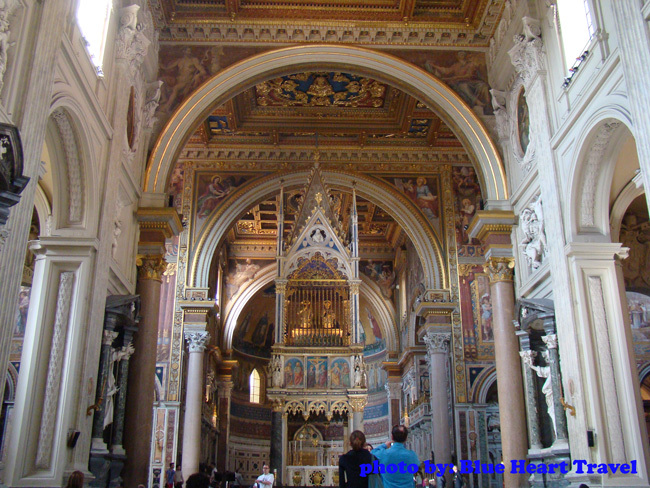 Today, St. John Lateran Basilica is the cathedral of Rome. 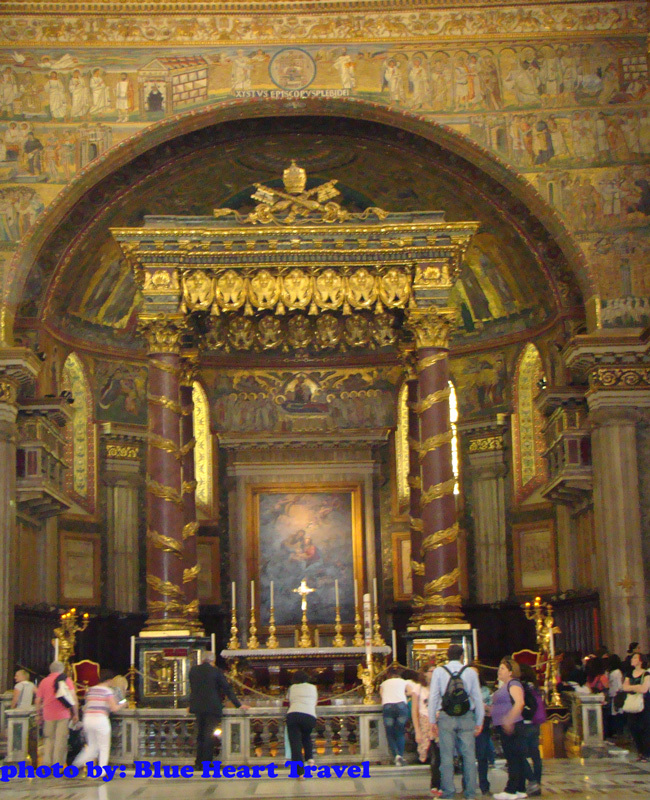 What this means is that it houses the cathedra that is an ecclesiastical seat of the Roman Pontiff.